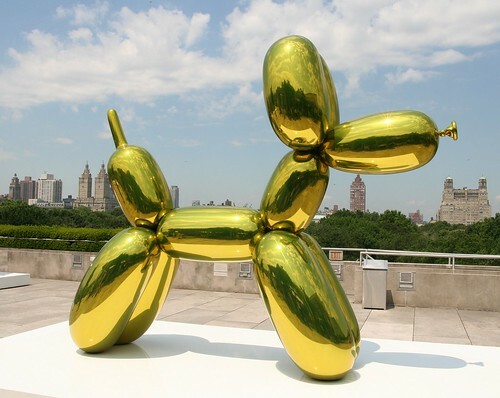 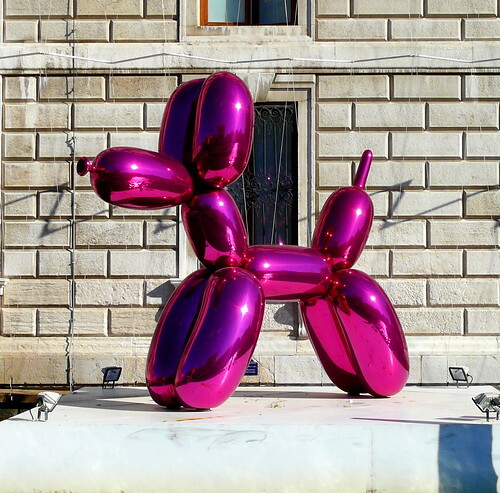 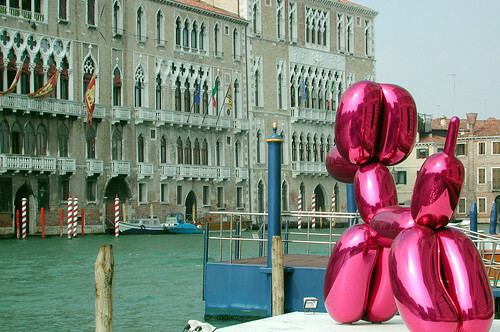 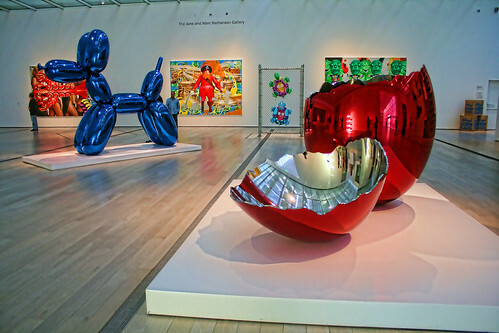 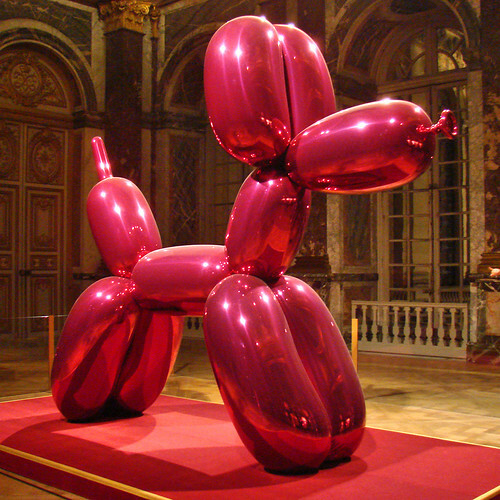 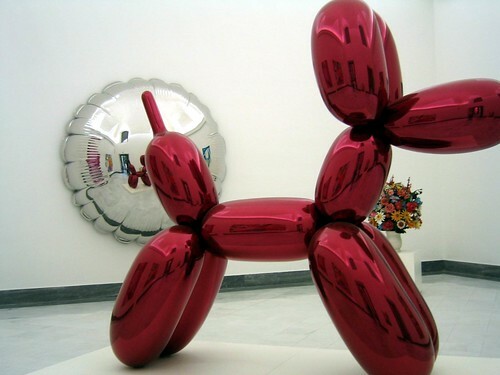 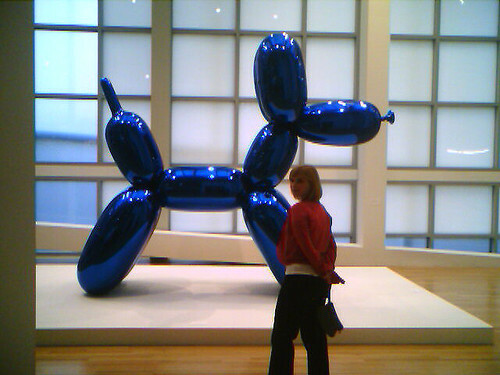 The American artist Jeff Koons is well known for his giant sized reproductions of ordinary objects (such as balloon animals) produced in brightly coloured stainless steel with mirror finish surfaces. 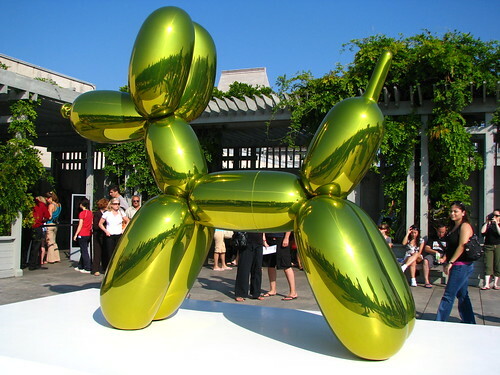 In this post I have included images from some of the locations (shown in Green) and will include others as and when I find suitable images at other locations which are marked with an asterisk (*). 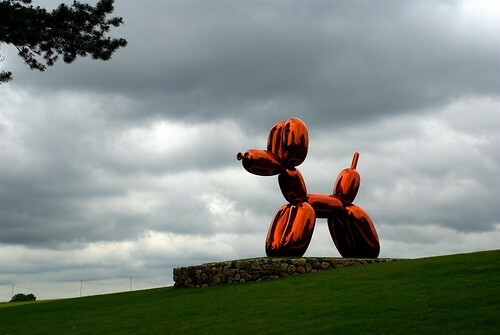 Brant Foundation Art Study Center, Greenwich, Conn.